When we published this blog (The facts about licences for wild birds) back in December and we promised further updates on our licensing work. I want to use this blog post to explain a bit more detail behind some individual licensing decisions that have been highlighted on social media and elsewhere, but first a couple of reminders. All wild birds in England are fully protected in law by the Wildlife and Countryside Act 1981 (as amended). Whilst the Act offers all species general protection, it also provides exemptions for licences to be issued by Natural England on behalf of the government for a range of purposes. and the conservation status of the species will not be negatively affected. 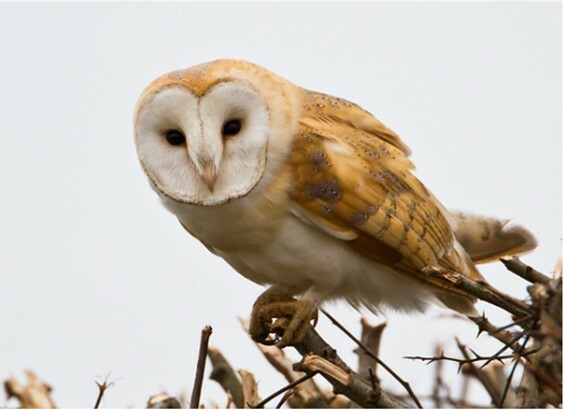 Why did Natural England license the killing of barn owls? In 2014 we issued a single licence to remove four young barn owls from a nest. The nest was in a collapsing wall and chimney within the grounds of a school. There was judged to be an immediate and increasing risk to people’s safety through bricks and other building materials falling to the ground. The young owls were successfully reared in captivity and released into the wild. No barn owls were killed. Why license the killing of wrens? How do they threaten public safety? Wrens are tiny birds and it is hard to imagine how they themselves could threaten public safety. However in 2015 we did issue a single licence to allow the destruction of a nest and eggs. The nest was within a tree which required immediate removal to prevent a real risk of it falling and injuring people. How can Natural England justify the licensed killing of peregrines? In 2015 vital planned maintenance work was scheduled for a power station structure. A pair of peregrines set up a nest which would have prevented that work from happening. We licensed the moving of the nest and four eggs to a nearby location to allow the work to continue and the peregrines to continue raising their family and contribute to the remarkable nationwide recovery of this wonderful bird. No peregrines were killed. In these kind of situations we will always test first if the operation can be delayed until the nest is unoccupied. Very occasionally that is not possible due to an immediate risk or importance and only then we will consider licensing. Killing is always the last course of action. As demonstrated above licensed nest or chick relocation can often solve the problem. Behind every licence will be a similar story of expert and careful consideration of the five tests I outline above. We will continue to use these blogs to explain decisions. You can read about raven licensing on this previous blog (Ravens have seen impressive recovery).